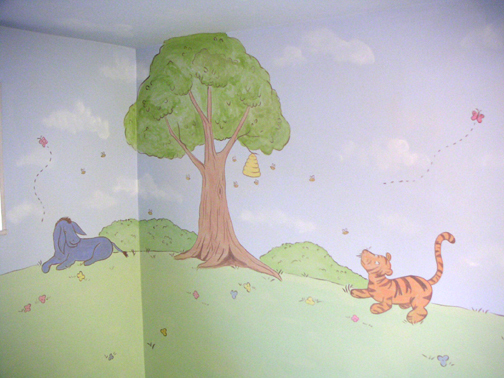 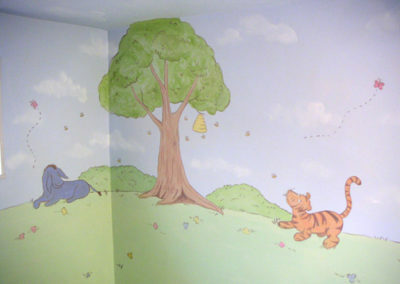 Nurseries and Kids Rooms are some of the most colorful and imaginative spaces I get to paint. 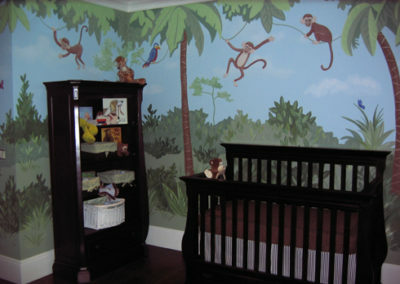 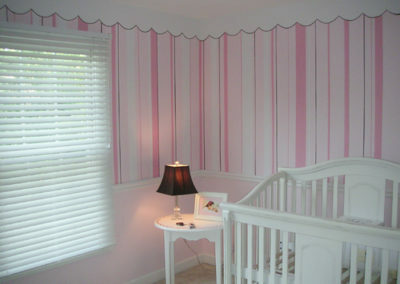 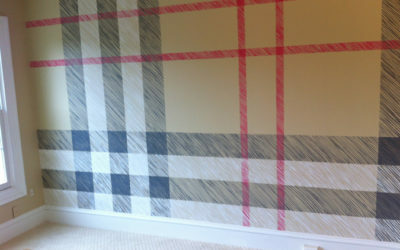 Nurseries seem to go one of two ways: super cute or glam and sophisticated. 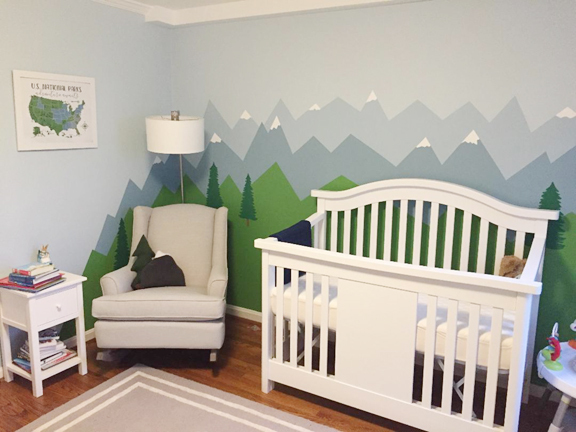 A mural or hand-painted initials, delicate stripes, floral patterns, or clouds and stars painted on the ceiling- all create the space that sweet dreams are made of! 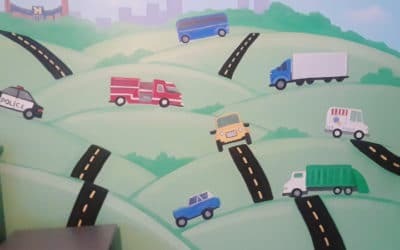 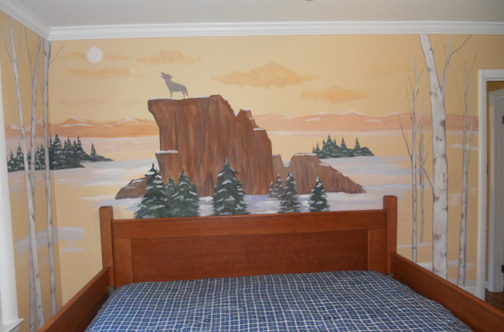 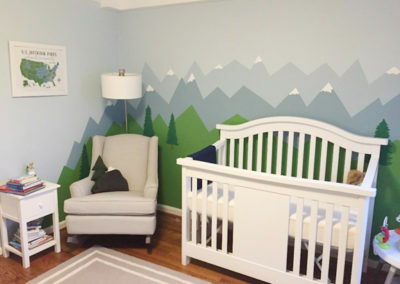 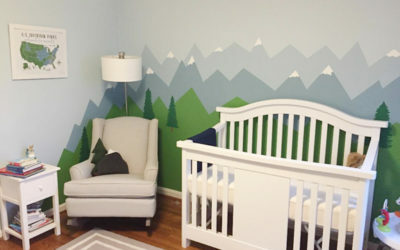 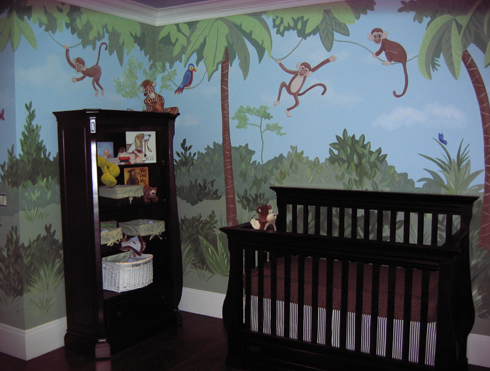 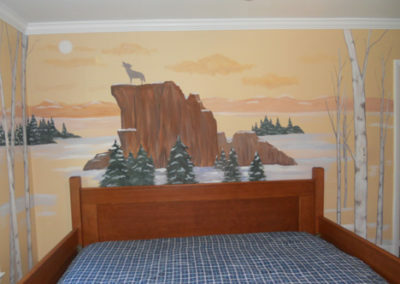 For older children, a panoramic mural of a jungle, castle, ocean or outer space scene makes a playful bedroom or playroom that inspires creativity and fun. 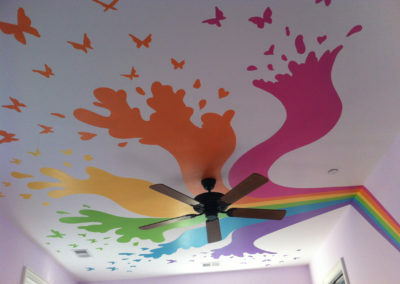 And why not add glitter, glow paint or ‘jewels’ to sprinkle in even more magic?